LANDIKOTAL: A large number of tribesmen from Zakha Khel and Koki Khel sub-tribes of Afridi have destroyed the toll tax plaza established by NHA(National Highway authorities) at Kata Kushta area of Jamrud subdivision on Saturday. According to details the NHA authorities by giving authority to a private contractor to collect toll plaza tax from vehicles has established a toll plaza at Kata Kushta area of Jamrud subdivision. 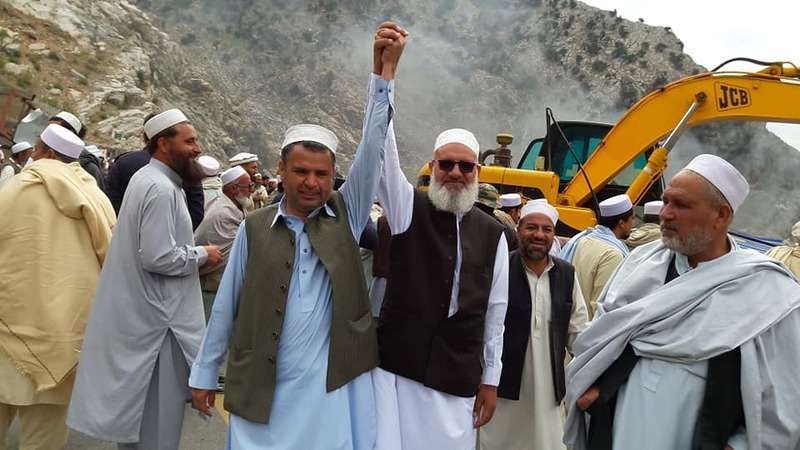 The toll plaza was strongly opposed by the local elders and some transporters of the district Khyber and they launched a movement to remove the toll plaza. 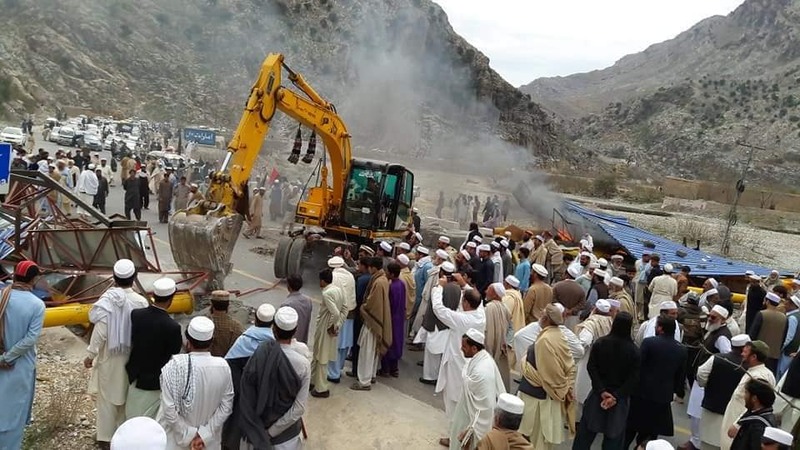 According to eyewitness a grand Lashkar(Group of People) from Landikotal, Jamrud and Bara subdivision marched towards the Kata Kushta toll plaza and destroyed it by using heavy machinery. Later, locals and eyewitness tod media that some tribesmen burnt the toll plaza and broken the chairs and other commodities being using by the NHA and contractor’s staff to collect tax from the trucks. Some Shinwari tribe elders and supporters were also the part of Qaumi Lashkar wheny they destroyed the toll plaza. eyewitness and sources said media. 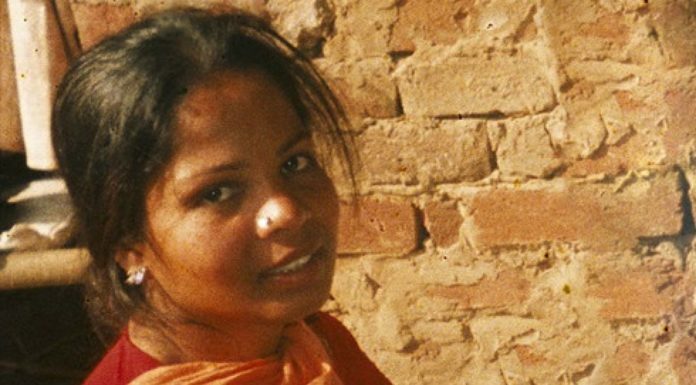 The Qaumi Lashkar was leading by the ‘Alhaj Karwan’ leaders and volunteers. Al-haj Karwan is the group or organization of the senator Taj Muhamamd Afridi and former member of national assembly Shaji Gul Afridi supporters. It is to mention here that the former MNA from NA-43 Shaji Gul Afridi was strongly favoring reforms and the abolishment of FCR from the tribal regions which the former government abolished after passing an act from the parliament while his brother senator ‘Taj Muhammad Afridi’ is yet against his brother vision and he yet suggests the old Jirga system and opposing the judiciary system in the tribal regions.